Statistically, 1 in 10 children are addicted to gambling. 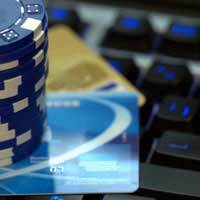 This could be as a result of playing games such as online poker or using arcade slot machines. Any gambling addiction can be costly both in terms of money and the child’s welfare, as it can result in bad behaviour and sometimes theft in order to fuel the addiction. The use of gaming machines in public places is allowed but legislation dictates the age of those individuals using such machines. Although there is no upper age limit, it is suggested that no one under the age of 13 use such games. In certain areas of the country, it is perfectly legal for children of any age to use these machines, while in others the Local Authorities have issued strong warnings to those proprietors who have slot machines on their premises. The rise of the internet has increased the opportunity of gambling for children. Online gaming offer amazing cash prizes for the lucky winner and this can be something of an enticement for a teenager. In addition, such gaming websites offer free play in order to encourage people to join their sites. But once the free play has expired, a fee must be paid or money put into an online account so that play can continue. Nearly all of these sites are for over 18s only. However, some teenagers are resourceful and lie about not only their age but also use credit and debit card details belonging to their parents or other family members. It is a breach of the Gambling Act to allow any minor to engage in online gaming activities, or allow them to gamble using slot machines or fixed tote machines, and as such prosecution for a failure to properly police this law can result in hefty fines. Gambling and Truancy seem to go hand in hand and children who don't attend school tend to become involved in Anti-Social Behaviour or petty crime in order to gain money to feed their addictions. It is again worth noting that your child will exhibit specific behavioural changes if he or she is engaging in gambling activities. They may become withdrawn, anxious, agitated, and, as we have already pointed out, they may play truant from school or become involved with other individuals who may also engage in similar practices. If you have an internet connection at home, it is worth while putting a filter in place which prevents the viewing of such online gaming sites. This may also reduce your child’s chances of being introduced to advertisements for such sites. You can also contact your local authority for information on what laws they have in place, especially if you feel that your child has become the unwilling victim of gambling. Why do some 'slot machines', especially on Caravan Holiday Sites, have to have tokens (which are bought with cash on site) then winners have to accept tokens as prizes but have to be used on the same caravan sites to purchase appalling rubbish. My grandson spent nearly £11 to collect amass enough tokens for a 'plastic toy' worth about £2?? ?He is 8 years old! !He can not stop himself from using these gambling machines!! We refuse him money but he always gets his own way. What is the law regarding these slot machines?Thank you. Unfortunately there are no specific laws that can prevent children from playing on this type of machine. The local authority issues the licence, so it might be worth getting in touch with them to find out if they impose any specific regulations. Why do some 'slot machines', especially on Caravan Holiday Sites, have to have tokens (which are bought with cash on site) then winners have to accept tokens as prizes but have to be used on the same caravan sites to purchase appalling rubbish. My grandson spent nearly £11 to collect amass enough tokens for a 'plastic toy' worth about £2??? He is 8 years old!! He can not stop himself from using these gambling machines!! We refuse him money but he alwaysgets his own way. What is the law regarding these slot machines? Thank you. We can't advise on why lcertain laws on in place unfortunately as we don't make them.